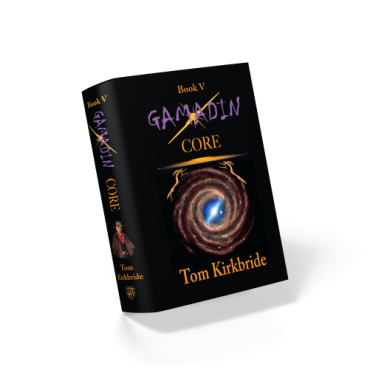 The Gamadin 6 Book (so far) Sci-fi series is a present-day, young adult, adventure written by Tom Kirkbride. Gamadin is not about surfing. that one must have to possess the galaxy's most powerful weapon! Sixteen-year-olds Harlowe Pylott andMatt Riverstone ditched school to bodysurf the killer waves at the Wedge when their fun is interrupted by a yacht capsizing from rogue wave. After rescuing the famous movie star, Simon Bolt, and the half-alien socialite, Leucadia Mars, from certain death, Fate, unbeknowst to the boys, has sent them on the most perilous ride of their lives. Robobs and the undog are only the beginning. 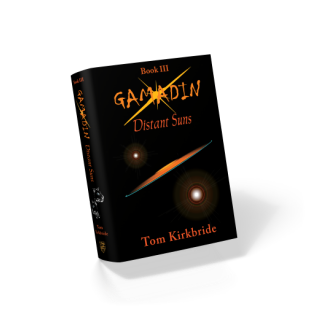 Dakadude alien killers and black beasts have swooped down from the heavens looking for the galaxy's most powerful weapon: an ancient Gamadin spaceship named Millawanda. If the Daks cannot capture Her, they will kill her while she is still weak and unprotected . . . along with the Earth and anyone else who gets in their way! Millawanda has parked Harlowe and his friends on a planet with no life, no breathable atmosphere, no beaches, and no In-N-Out Burgers at the edge of the solar system's largest extinct volcano. Our young heroes are broken, hungry, and lost, with no knowledge or skills as to operating the most powerful warbird in the galaxy. Survival, then, becomes a minute-to-minute existence. If that were not enough, a military presence conscripts their souls, while back home, their families must contend with . . .
a government that wants its property back! Homesick and eager to find a date and catch a few waves, Captain Harlowe Pylott and his new Gamadin crew are minutes from touchdown, when their homecoming is interrupted by a distress call that sends them on a perilous journey light-years from Earth. The empire that crushed Neeja, the planet he made a solemn vow to save, is now on the verge of seizing the entire galactic quadrant. 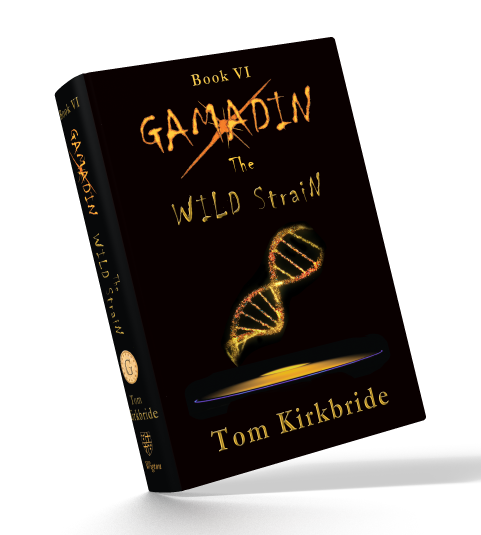 The only things that stand in its way are the Gamadin, the love of a girl, and a lone ship from the distant past. Harlowe was surfing in the South Pacific when Riverstone called in a panic from the Omini Prime quadrant. All life on the planet Gazz was about to be wiped out by a lethal gamma ray burst (GRB) in eleven days. According to Wiz, saving the planet with Millawanda’s forcefield was a “slam dunk.” Millie saves the planet, but at a cost: her power is sucked dry! Unable to maintain orbit, Millawanda plunges into the planet’s ocean. Adding to the tragedy, Riverstone, Lu and Sizzle have vanished and a second GRB will hit the planet in 37 days. But Gazz is a 15th Century planet of wind-powered ships and slithering beasts called “traas.” In a race against time, Harlowe must commandeer a pirate galleon and find the yellow crystals that will power Millawanda back to to life before his girl, his crew, his ship, the planet, and his own life are lost . . .
Millawanda is dying. In saving the planet Gazz, she has burned up the remaining blue crystal she had for power. She can get by on thermo-grym, but for how long? If she doesn’t return to her origin, a place or planet named Orixy somewhere near the Galactic Core, she will not survive. A quest fraught with peril, running on only a fraction of her normal power, the Crew is dogged by ruthless killers known as “Mysterians,” as they embark on a one-way, 35,000 light-year torturous path across the galaxy that no one has traveled for over 17,000 years! was late coming to print but is available now at the Gamadin Store! FOR THE GAMADIN CREW A HOMECOMING TAKES ON A WHOLE NEW MEANING!!! Upon returning to Earth, Harlow and his crew have big plans for R&R. Millawanda is fixed. She’s is even more beautiful, powerful, and cooler than she was when she was first commissioned, 17,000 years ago. But when they drop out of hyperspace and discover Saturn and the other planets are out of position and the Earth is eleven years out of whack, the slippery slope of time displacement settles in. President Delmonte has been impeached, replaced by President for Life, Nootzy Shame, Tinker and Dodger are missing, cash is no longer accepted, economic chaos is everywhere, the world is on the brink of total thermonuclear war, and The Church believes the alien saucer carries the Wild Strain of beings who have come to destroy the human race! And they haven’t even landed yet . 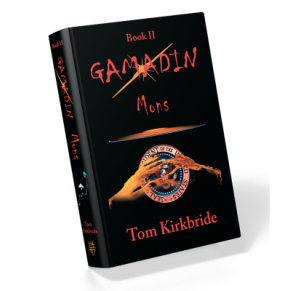 . .
Additionally, all books in the Gamadin Book Series are approved for the Accelerated Reader Program throughout the United States.